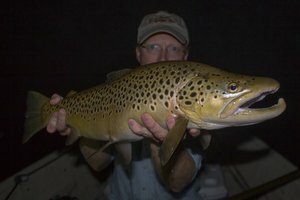 The most recent poll here at the Trout Zone closed last night and I was actually surprised at the results. By far, the most popular response (right at 50%) was that you would hike up to about 5 miles roundtrip on a daytrip into the backcountry. Good thing for me because a lot of my shorter daytrips are just beyond that range. Still, a quarter of the votes were cast for the 6-10 mile roundtrip category and a few of you even voted for the type of trips I like to do, roundtrip of over 10 miles. 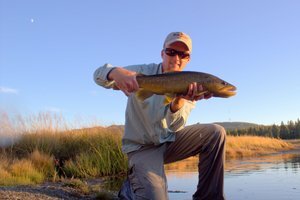 On average, I fish at least once a week and often more. This new year has seen a slow start for me on the fishing scene though and I'm definitely behind compared to past years. Generally I get in a few extra days in early January before I head back to school but this year, unfavorable generation schedules really limited my time on the water. Fortunately, things seem to be looking better. Last Sunday I had a great trip to the Caney Fork and this coming Sunday, I'm hoping to spend some time on the water as well. 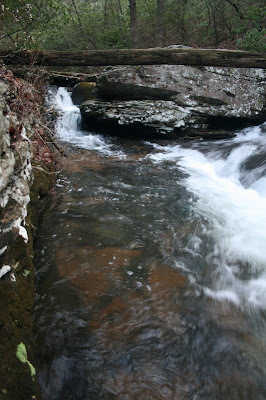 In keeping with my hopes of more small stream action this year, I'm thinking about hitting some small streams. My other option of course is the Hiwassee which I haven't visited for awhile. 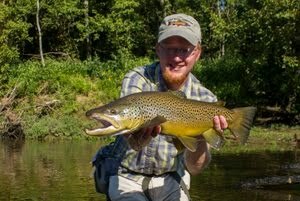 The one good thing about going there is that it is close, just about the closest trout water in fact. 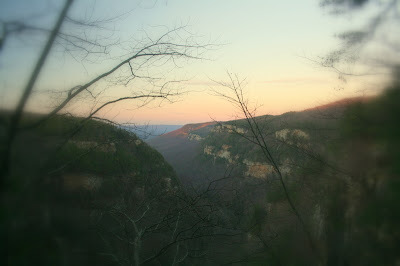 Also in what I hope is the near future, I'll be starting on my late winter and spring backpacking and camping trips. 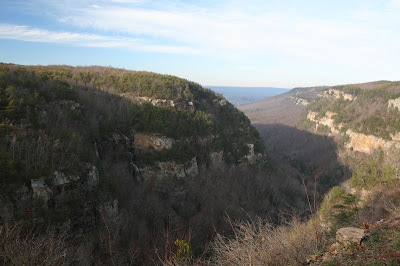 I'm looking to check out some new water this year and the best way to do this is on a weekend trip since most of the streams are at minimum a two hour drive. Perhaps this Sunday I'll check out a stream for some lake-run fish. That sounds like a lot of fun...I think I'll do it!!! Fishing has long been a year-round hobby for me but many people prefer to stay inside and keep warm when the temperature plummets in the middle of winter. That's too bad because they are missing out on some fantastic fishing, especially in the tailwaters where the steady water temperature insures a year long supply of bugs for the trout to munch on. Even the mountain streams can provide a good time because those fish still have to eat even when it is cold although probably not as much. My biggest challenge when fishing during cold weather has always been staying warm. I don't really like fishing with gloves because I feel it really limits my dexterity for casting and also for playing the fish. For awhile I used half-finger gloves while fishing when it was cold but when I lost one of the gloves, I started searching for a better solution. This past weekend, I found a very reasonable solution to the glove problem. Recently, I bought a nice cheap pair of warm gloves (Thinsulate) to try out for cold weather fishing and Sunday was my second time trying them out on the water. The first time I didn't like them very much but it was much colder this past Sunday and I knew that without gloves of some type, I wouldn't be on the water very long. Starting out, I wore them on both hands but was still having a bit of a difficult time controlling my line. It was after a couple fish (when I naturally had to remove a glove anyway) that I decided to go without on my left hand glove for awhile. This worked out great since the glove on my right hand was collecting all the water off of the line as I stripped it in. As long as you keep your hands thoroughly dry, they will stay warm longer. Best of all, I was out there catching fish and not freezing in the process. Two other suggestions on keeping your hands warm are to take something to dry your hands on and to take and use hand warmers. I did both and the hand warmer in particular worked wonders. It is always difficult to tie knots in cold weather. The hand warmer not only kept my hands warm but in so doing also contributed significantly to my ability to change flies comfortably. Another suggestion on fishing in cold weather is to rig up at home. This option isn't for everyone and by doing this you will be guessing blindly what the fish will want. If you guess wrong, you won't be catching fish until you change flies. It worked out great for me though on Sunday. 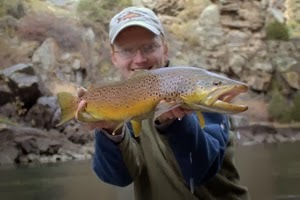 Knowing the river you will be fishing definitely helps in making this a viable option. Spring is just around the corner and since I'm in school and unable to fish as much as I would like, I'm working on preparing for the next season by tying flies and planning trips. 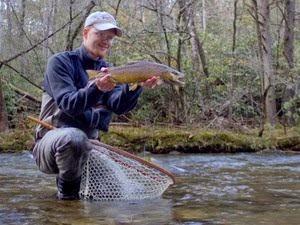 Just in time to help out with the preparation, James Marsh is adding some new material to his Fly Fishing the Great Smoky Mountains site. While I won't be able to head to any of those small streams that I'm looking forward to, next weekend I'll likely be home so another trip to the Caney Fork my be in the near future for me... 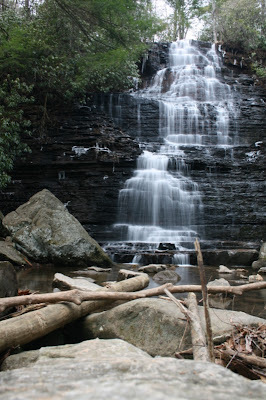 Soon after that, I'll be starting to do trips to the Smokies and to some other small streams in the Cherokee NF... I can't wait!!! While you're checking out my blog, please weigh in on the newest poll. I'm curious about how far everyone else out there will hike on a day trip so let me know!!! 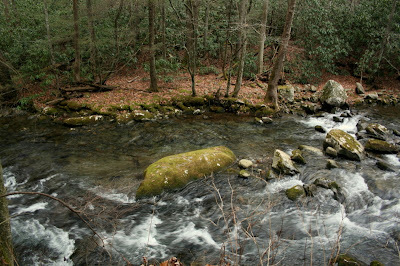 As I mentioned recently, things are looking much better as far as the water situation is concerned in the Smokies. To further bring home the severity of the drought and also the current improvement in water levels, I searched through my old photos for one of a favorite run that I took during the drought. On Christmas day, I took several more to compare. 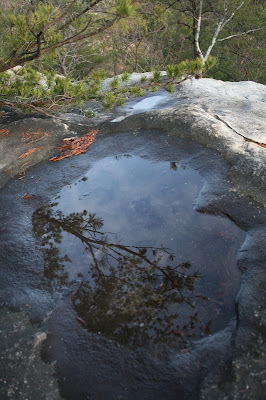 Here are the resulting pictures...first is during some of the worst part of the drought in September 2007. The following picture contains the same section which is of course tight to the far bank. 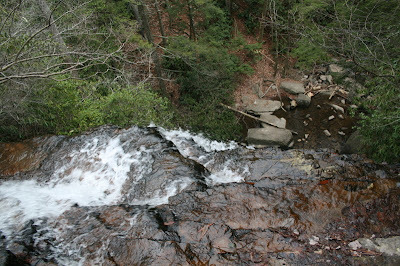 Notice the lack of flow in the above picture and the nice holding water that exists at "normal" water levels. I've caught browns up to around 12 inches in this run so it is good to see some water in it again. For yet another view of this run, it is featured as our current Photo of the Month for January. Following the theme of change so prevalent in the presidential primary campaigns, 2008 is going to be about change for me on the fishing scene. 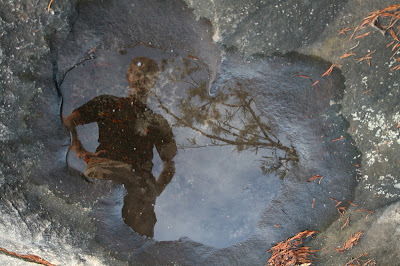 I'm going back to my beginnings as a fly fisherman so to speak, back to the smaller streams and eager trout. Perhaps putting it more succinctly, less fishing on the tailwaters. Sure, I'll still fish the Caney when I'm home on the weekend occasionally and probably will still try to make it up to the Cumberland if they ever quit running water. 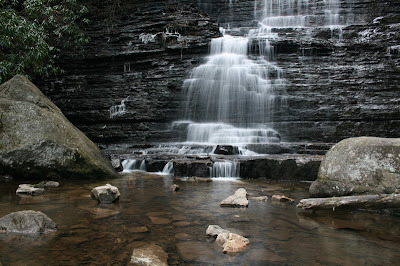 I'll probably even make a trip or two up to the upper east Tennessee tailwaters. 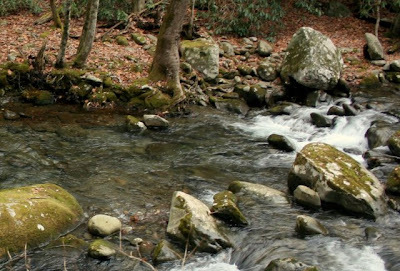 However, more than anything I want to spend my time back in the woods and hills of east Tennessee chasing the wild jewels that inhabit our streams.